In this third Neapolitan novel, Elena and Lila have become women. Both have attempted pushing against the walls of a prison that would have seen them living a life of misery, ignorance and submission. They are afloat on the great sea of opportunities that opened up during the1970s. Yet they are still very much bound to each other by a strong, unbreakable bond. 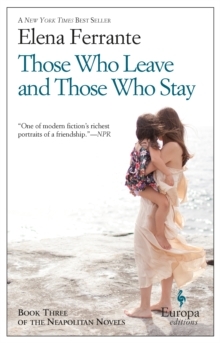 From the bestselling author of My Brilliant Friend, Elena Ferrante.